Size: 25.92 x 14.79 mm. 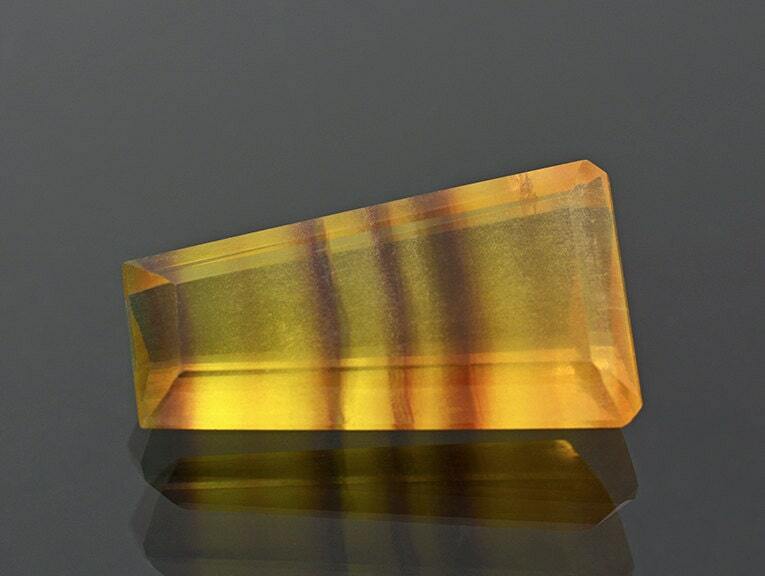 This intriguing and beautiful Fluorite gem came from Argentina many years ago. 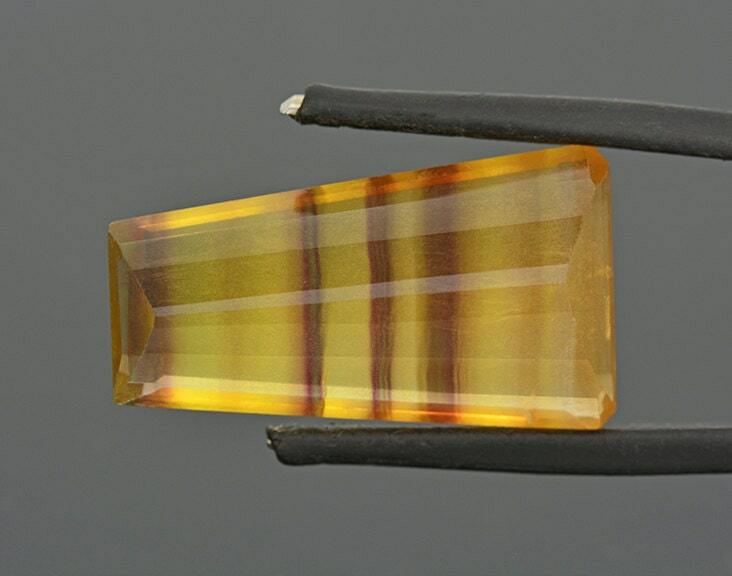 The deposit has since changed due to continuous mining and the best of the tight striped color patterns are gone. 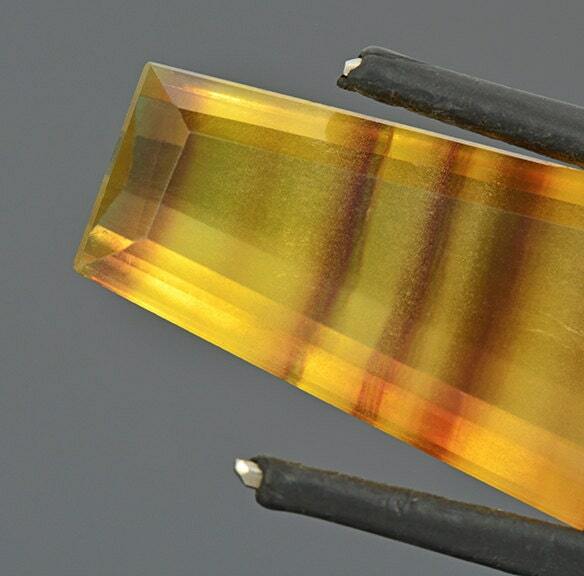 The deposit now has only a few grey colored layers of Fluorite that are in broad bands and not nearly as pretty as the earlier material. 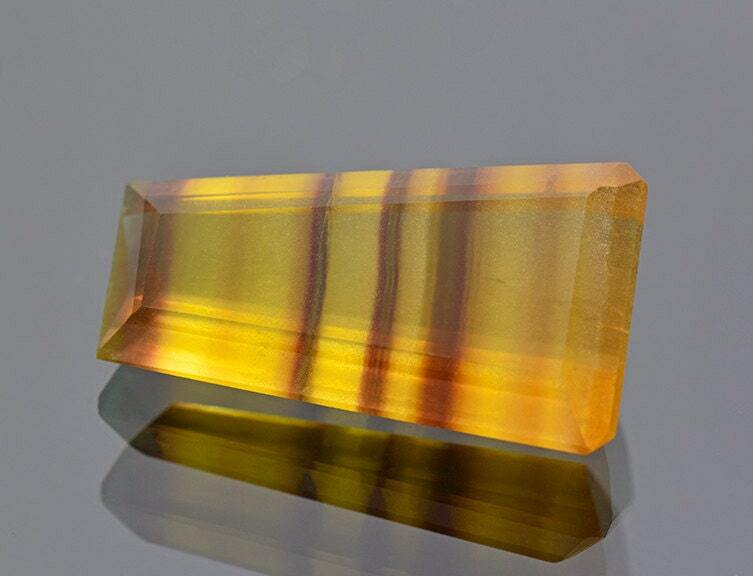 This stone displays a lovely striped pattern of bright golden yellow with bands of purple. 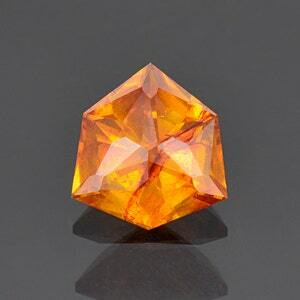 These gems make lovely pieces of jewelry, especially in pendants. 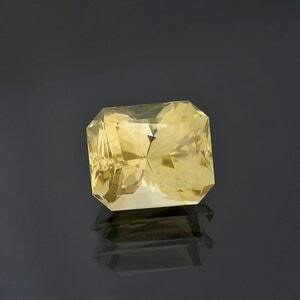 They are also a dwindling treasure, and no more good ones are currently being minim, so don’t miss it. 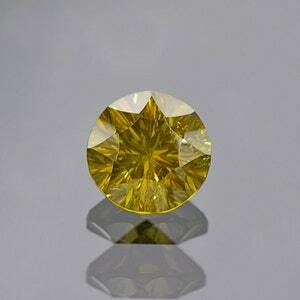 Green Sphalerite Gemstone from Bulgaria 4.48 cts. 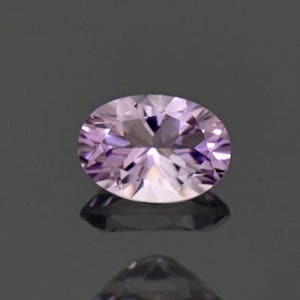 Beautiful Purple Scapolite Gemstone from Tanzania 0.54 cts.